The people of Alabama understand the “battle” former Judge Roy Moore is facing in his Senate bid, according to Kayla Moore, the wife of embattled Alabama Republican Senate candidate Roy Moore. 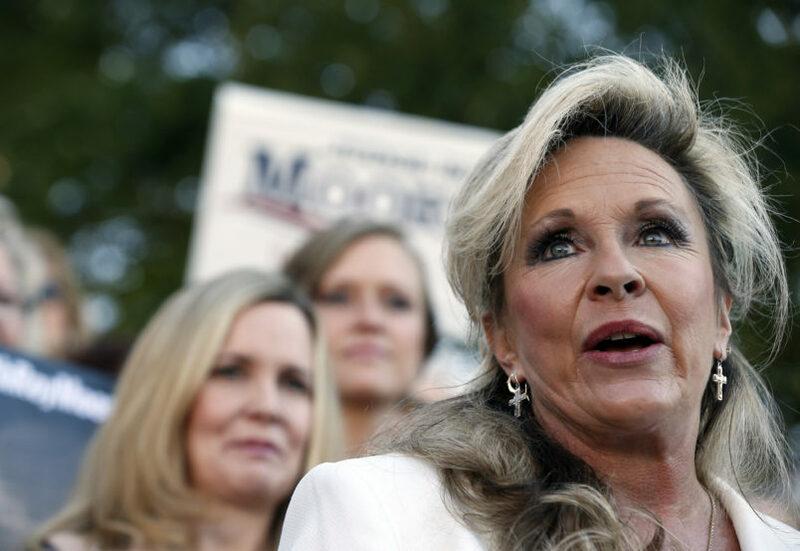 Kayla Moore spoke as the headliner at a press conference with his supporters Friday from the steps of Alabama’s state capitol, in an effort to stand by Roy Moore and attack the people who apparently seek to destroy his shot at the U.S. Senate. The “liberal press” — specifically The Washington Post — supporters of Barack Obama and Hillary Clinton, Roy Moore’s opponent Doug Jones and the Washington Republican establishment were among the culprits waging a war against her husband, Kayla Moore said. She thanked all of Roy Moore’s supporters for their “prayers,” messages and phone calls since the Post first reported on the allegations of multiple women who claim Roy Moore pursued relationships or unwanted sexual contact with them when they were teenagers and he was in his 30s. “We are in a battle. … The people of Alabama know him. They have seen what he has done, fighting for life, fighting against abortion and fighting for the acknowledgement of God. Fighting for traditional marriage and fighting for the Second Amendment and our rights, given by God, protected by our Constitution,” she said in remarks that were consistently interrupted by cheers from the crowd gathered. She claimed the Post had called “everybody I have ever known for the last 40 years” and said the publication prints “whatever anyone says” without fact-checking claims. In its initial story about the allegations against Roy Moore, the Post reporters said they first started pursuing the story when they heard multiple rumors about the misconduct while working on a different story in Alabama. The Post was able to corroborate every account from the women with additional witnesses, including some of the women’s mothers and friends who knew about the alleged incidents when they first happened. Both Roy and Kayla Moore have repeatedly denied all the allegations against Roy Moore and have called out one woman who claimed the former judge sexually assaulted her and signed her yearbook when she was in high school. Roy Moore’s attorney has asked for the yearbook to be turned over to a third party to examine whether the signature is real, which has been the campaign’s main line of defense against the reports.